Whenever you hear the words “German Engineering”, you know it means high quality. 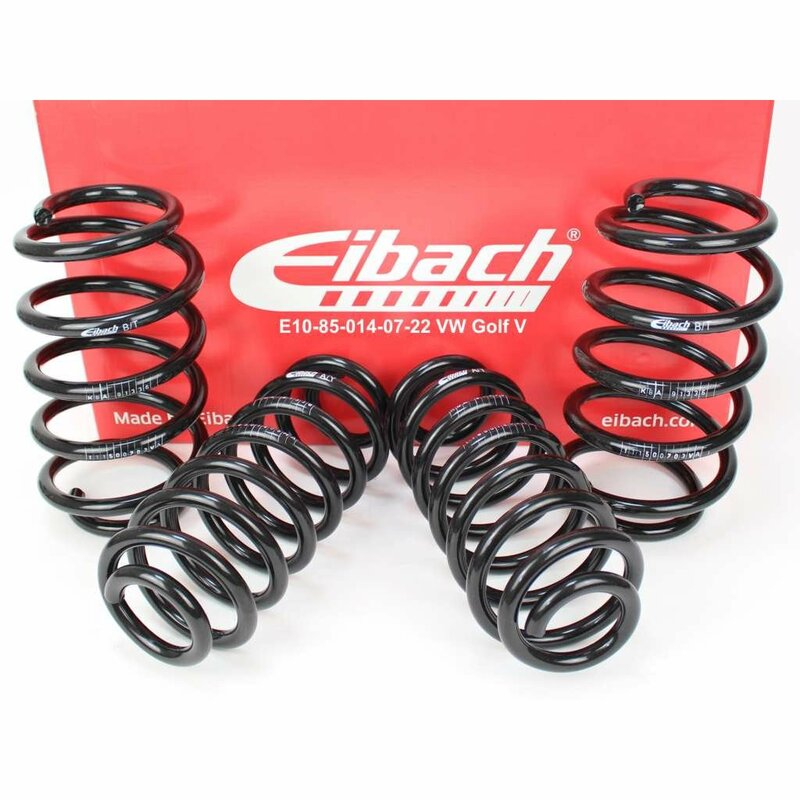 Eibach has proven that this phrase belongs by their brand by using the same technology and same engineering teams for manufacturing professional racing springs and street performance springs. When you look at it that way, you know you got the highest quality products, the same as some professional racing teams. Every car enthusiast looks at their car like it was their child and they always want the best parts to make their car better. This can actually be a problem because there are so much brands and products to choose from. Research can be crucial when someone wants to upgrade their suspension because the market is full of aftermarket products which can make your car better or even worse than it was with stock parts. How to choose the best product for your needs? This is the ultimate question when upgrading your suspension. First of all, you must know what you want from your car. It’s a waste of money if you buy a full racing suspension if you only want to lower your car, and it can be dangerous if you only upgrade your springs and want to race your car every weekend. Be very precise with answering this question and continue from there. Eibach offers products for every level of suspension upgrades, from just springs to full racing suspension kits that will make your car ready for the 24h Le Mans. Eibach’s PRO-KIT is the most popular suspension kit in the car enthusiast community worldwide. It offers performance springs which can lower a car up to 1.5” and give you excellent handling and ride quality. There are more benefits when you upgrade your suspension with Eibach’s PRO-KIT which include better looks of your car by reducing the gap between the wheels and fenders and improving your mileage. There is also the million mile warranty, so it’s possible that your grandkids will drive on these springs, if you keep your car for that long. There are a lot of people making their own cars and there is a lot of special requirements for these custom vehicles. These custom vehicles are usually used in extreme conditions, and standard suspension systems just don’t fit. If you have a special requirement for a suspension system, Eibach will definitely rise to the challenge and provide you with the best solution possible for your project. Eibach has developed suspension systems for a lot of top rated racing teams in Formula 1, WRC, Le Mans and touring-car series. All of those suspension systems are custom designed and manufactured for the best possible performance.